North Goa is filled with food and dining options to suit every traveler. From unique and robust local flavors to themed international favourites, let our staff of locals show you the best spots to explore. Hyatt Centric Goa Candolim offers a unique local bar and restaurant experience featuring a relaxed, spacious environment for handcrafted cocktails. The restaurant and bar serve local Goan favourites, Indian and world cuisines for food and drink-centric travelers. 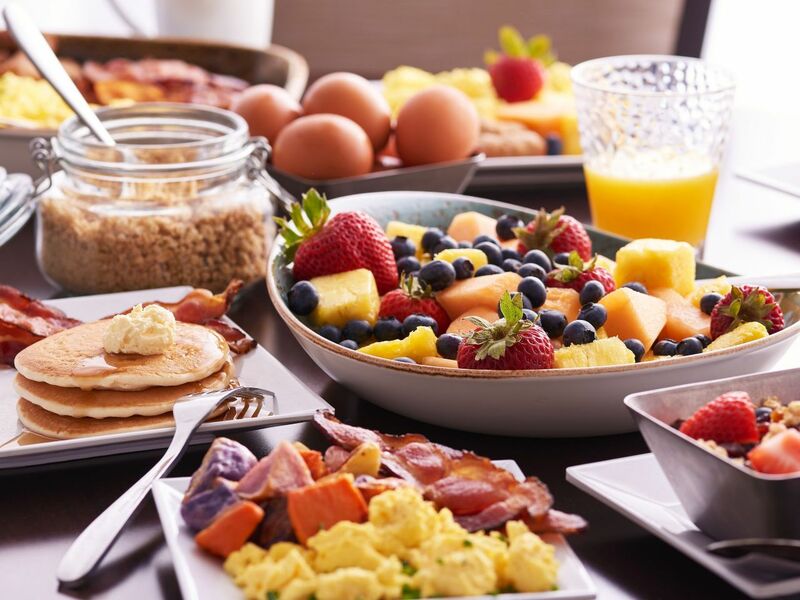 Start your days of exploration here with a dailly breakfast buffet, or delectable locally inspired creations that can be enjoyed for lunch, dinner or anytime in between or end your day with a drink or two by the bar. Wake up at Hyatt Centric Candolim Goa and toast to a delicious morning with our wholesome breakfast buffet. Fill up on a variety of hot breakfast items, juices, fresh fruit and more. Our signature restaurant & bar has comfortable indoor and alfresco seating with flooding natural light, three communal tables and aesthetics that carry the laidback Goan vibe. It is the perfect venue for casual get-togethers with friends and family. 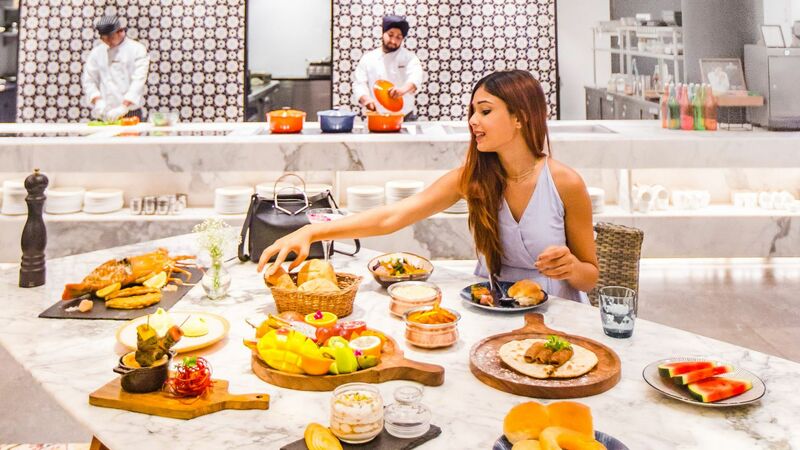 Chef Vamsi and his team showcases a range of delicate flavours in dishes that feature fresh fish from Goan shores, meats and vegetarian delicacies, and visually stunning decadent desserts made fresh daily. A cozy private dining room is available for a minimum of 20 guests. We also offer poolside and room service. 11:00 am - 5:00 pm - We serve Goan, Indian and modern global specialties that are made with only the freshest ingredients, most of which are locally sourced. The Bar - Our bar is stocked with artisanal spirits, craft beers, twisted mixology, fiery cocktails and global and local wines. Try our original cocktails the feature Goa's own Feni and Beers. Time: 11:00 am - 11:00 pm. 5:00 pm - 11:00 pm - Every evening our Chefs will offer a unique dining experience in the alfresco section, serving a range of global flavours through a kebaberie, an international bread and salad bar. 11:00 pm - 7:00 am - We are here to take care of those late night hunger pangs as well. Drop by after a night out or a late dinner for some Pastas, Biryanis, Curries, desserts and more.